Most of the time, the filtering built-into the analysis applications will be sufficient but in certain cases, additional filtering is necessary. 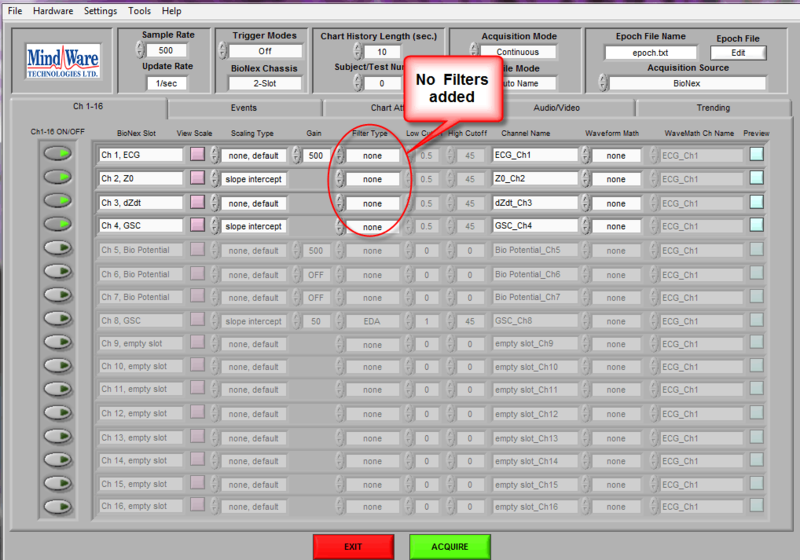 Applying filters in BioLab allows you to view the filtered data real time. 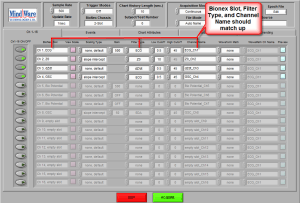 This article covers how to enable filters in BioLab and use them within the MindWare analysis applications. 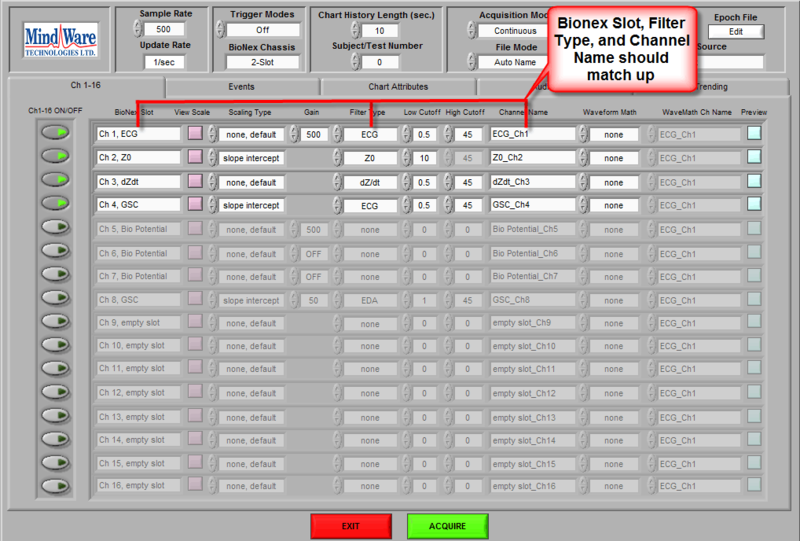 Within the Biolab application, you have the option to apply filters to specific channels while acquiring data or viewing saved data. 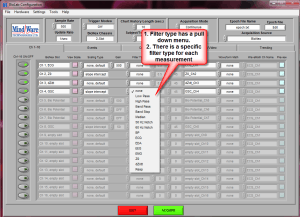 There are simple high, low, band, and notch filter options as well as basic pre-defined filters for standard physiologic measures. 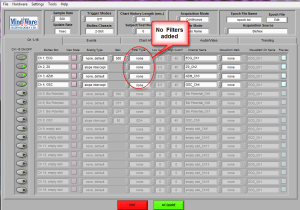 Note that applying filters in BioLab never changes the raw data and so filters can be added or removed without risking data loss. 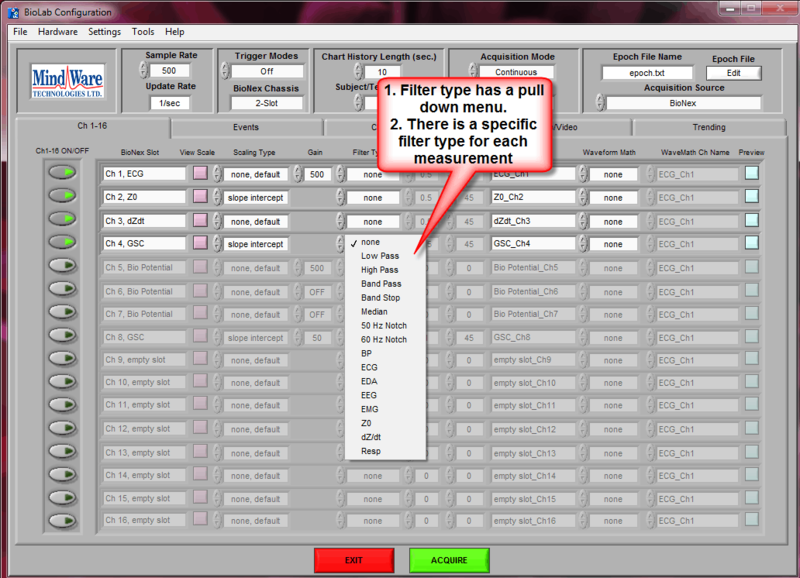 When you open your data in the analysis application you will need to enable the use of filter settings in order for them to be applied to your data before editing. 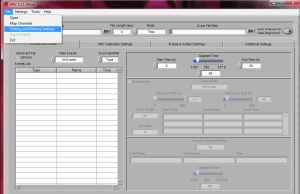 Step 1: Open relevant analysis application and load your data file. Click on the File tab and select scaling and filtering settings from the pulldown menu.